Kent has agriculture, photography, and wildlife conservation coursing through his veins and in his daily life. He is a native-born Nebraskan, grew up in Colorado and is a dual citizen of the U.S.A. and New Zealand. He put himself through university by working on a Northern Colorado purebred cattle ranch and wheat farm. He earned a Bachelor of Science degree from Colorado State University in animal science in 1970. After a five-year career as a bovine reproductive physiologist specialist in Colorado, he broadened his horizons with a Masters in International Management from Thunderbird School of Global Management in Arizona and completed a Masters of Applied Science with Distinction in veterinary immunology from Lincoln University, New Zealand. In 1976, Kent headed overseas for his 40-year international career in the animal health and veterinary diagnostic field, working and living in the U.S.A., Singapore, England, Belgium, Australia and in his home country, New Zealand. In 1993, he founded and continues to own and operate an animal health and veterinary diagnostic laboratory, Pacificvet Limited and Biopacifica Laboratories, servicing his farming clients in New Zealand and the South Pacific islands. He is the co-author of Intuitive Immunology for Veterinarians along with Professor Bernie Rollin of Colorado State University, the leading world expert on animal welfare and ethics in veterinary medicine and livestock production. Kent lectures on applied veterinary immunology and writes articles on applying principles of veterinary immunology with ethical animal husbandry practices. In Kent’s international career, he spent decades working and living in both the developed and developing worlds servicing farms with livestock disease control and skilled husbandry practices. As the first chairperson of New Zealand’s poultry industry training program, he guided the first national poultry husbandry certification curriculum. In 2014, he was awarded the New Zealand Poultry Industry Award for his services to the industry and in recognition of his years as President of the New Zealand Branch of the World’s Poultry Science Association. As a consequence, he retains a strong passion for sustainable, ethical farming and continues to provide support for skilled husbandry and promotes rural development particularly in Asia and Oceania where he organized livestock producer and farm staff training programmes in preventive animal health. Kent is actively engaged in endangered wildlife preservation and recovery in New Zealand where he lends his husbandry and immunology skills to disease prevention preservation for the country’s rare avian species. He is one of four trustees for Wildbase, New Zealand’s wildlife health clinic and research group at Massey University’s Institute of Veterinary, Animal and Medical Biosciences. 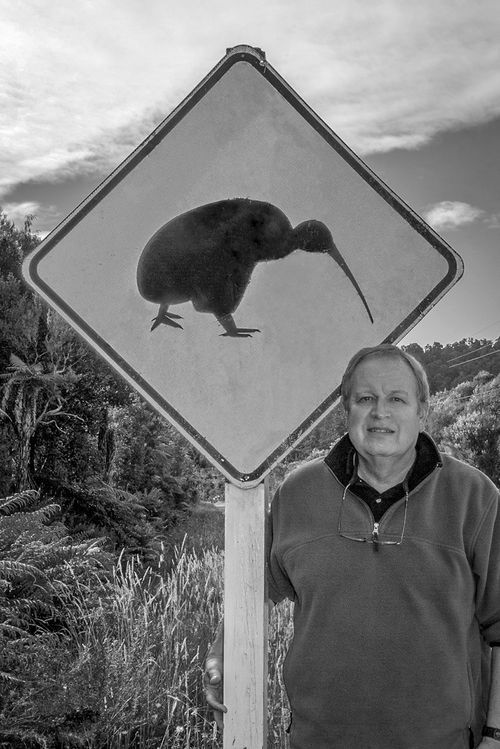 He provides his skills to New Zealand’s Department of Conservation for the endangered kiwi, takahē and kākāpō recovery effort to implement vaccination programmes. He assisted on the successful recovery of the critically endangered population of the Campbell Island Teal, one of the most rare duck species in the world. His company donates all of the vaccines used for New Zealand’s conservation efforts. Kent is a lifelong photographer who started with a Kodak Brownie as a child and advanced to 35mm and medium format film as well as digital photography. He learned his photography and fine art printing skills in Santa Fe, New Mexico, from Tony Bonnano, Eddie Soloway and George DeWolfe. He continues to be mentored and inspired in film and digital photography by Carlan Tapp of Santa Fe, who was Ansel Adams’ assistant. Kent’s series of photographic portfolios are displayed on his website at www.kentdeitemeyerimages.com. John’s fondest boyhood memories are of weekend visits to his cousins’ farm in northern Indiana not far from his home in Fort Wayne. He had his first crush on Kodachrome film. And he came of age in New Zealand, taking a hottie* to bed with him after long days working on farms. John began writing stories and making photographs as a boy, worked his way up to editor of the high school newspaper, and went on to hone his skills for the professional world at the Ernie Pyle School of Journalism at Indiana University where he double-majored, adding psychology to his degree. While there, he learned the photojournalistic art of capturing the moment with emotion and beauty from the preeminent photographer, John Ahlhauser, and the art of accurate, story-enhancing editing from The Saturday Review’s Richard Tobin. As a university junior at the age of 21, he was the youngest American chosen to serve as an Ambassador to New Zealand through Rotary International. In that role, he took New Zealand Studies courses at the University of Otago in Dunedin and travelled the country speaking to any group or individual who would listen. As an Ambassador of Goodwill from the U.S.A., he was sent on a mission Down Under to help counter anti-American attitudes caused by the 1986 suspension of the ANZUS Alliance over nuclear issues. 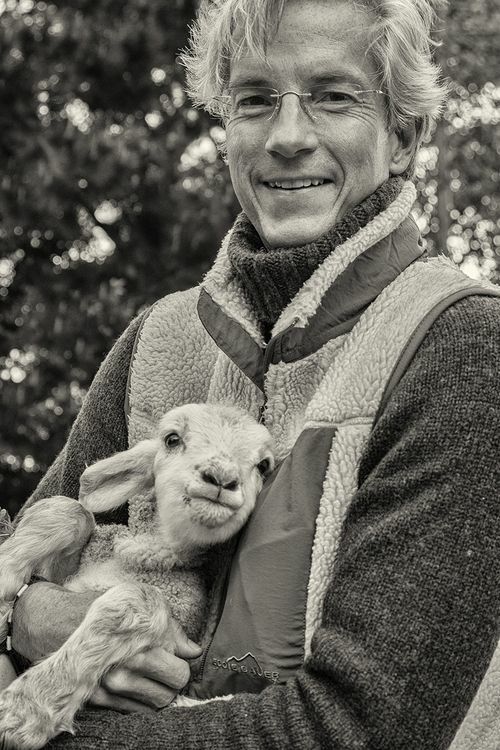 While in New Zealand, his early memories and love of farm life were rekindled as he worked on Kiwi family farms whenever he could and gained experience on sheep, goat, dairy, and deer farms. It was during this part of John’s life in New Zealand that his formal photography and journalism training gelled into a lifelong passion for making images that capture the decisive moment and for recording stories of ordinary, often marginalized or unsung, people. In more recent years, he has learned advanced photography skills with the celebrated photographer brothers, Peter and David Turnley, who also originally hail from Fort Wayne. After a career in marketing and multimedia production in both not-for-profit and corporate environments, he founded New Media Brew and John Gevers Photography in 2002 and has received numerous awards for excellence in image capture, storytelling, and editing. One of the award winners is Facing HIV/AIDS in the Heartland, a photographic and narrative exhibition-turned video production that shares the lives of twenty individuals of diverse backgrounds who live with the virus—and its stigma—in the American Heartland. Another of John’s bodies of work, Yearning to Breathe Free, focuses on the lives of refugees who have resettled from far distant countries to America’s Heartland. His fine art giclée and aluminum sublimation prints are held in private collections, found on walls in organizations that resonate with his view of the world, and are available at the Paradigm Gallery in the Fort Wayne Museum of Art, along with his art book of images published in 2015. His work has been exhibited throughout Indiana and beyond. John is twice the recipient of the Individual Artist Grant from the National Endowment for the Arts and the Indiana Arts Commission, including the 2017 year which is making possible his new exhibition entitled, focus, a retrospective of his 30 years of image making and storytelling. John’s approach to photography is inspired primarily by the work of Ansel Adams, Henri Cartier Bresson, and Peter and David Turnley. He is rooted in the Heartland of America but travels wherever stories and clients call. Notable clients include W.K. Kellogg Foundation, Harvard Business School, Harvard Law School and the Charles Hamilton Houston Institute for Race and Justice, HBO Documentary Films, Enterprise Corporation of the Delta, and Mixed Greens Children’s Vegetable Project. More at www.johngevers.com.